Are you looking for an experienced roofing company Saint Paul MN which truly provides a high-quality service? You can definitely trust our company to serve you with the right roof to suit your household. Not only do we offer installation of new roofs, but we can also replace, repair, remodel your roof. Do you know we particularly specialize in storm damage? 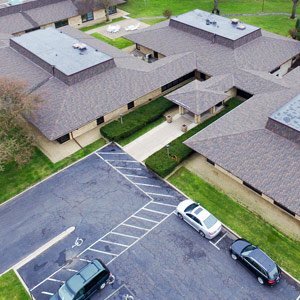 We provide professional roofing services to both commercial and residential consumers in the Saint Paularea of Minnesota, providingthemwith a wide variety of roofing options to pick from. All options take into consideration the cost, visual appeal, durability and quality of the roof, within the local setting of Saint Paul. You may find it difficult to place such a large amount of trust in a roofing company, given that a roof is an integral part of your everyday life. A roofsits above you while you live your everyday life. Safety is the priority, and so it’s not surprise that any customer would want a securely installed roof. In addition to that, a house is one’s home, and so you would want to ensure that your property is aesthetically pleasing. Likewise, given Minnesota’s climate and the storms that occur, roof damageis only to be expected following such regular heavy snow and hail. To help budget for this, a typical Minnesotan customer is keen to find an affordable yet reliable repairing and remodeling service which can ensure that their roof can protect them from such poor weather. Fortunately for them, that is exactly what we provide. 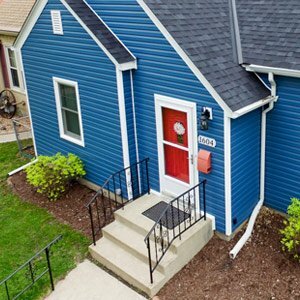 As a roofing company based in Saint Paul, our team really does stand in our customers’ shoes and providesthemwith the roofing materials we would want to see using on our own homes. We have years of experience in dealing with the installation and maintenance of roofs within Minnesota. We take into consideration everything from your safety through to the look and style of the roof that we are going to install. Most importantly, we ensure that our services take into consideration the weather, heat, snowfall, and other climatic conditions which may worry you as a household. In addition to that, our storm damage repair services guarantee a thorough inspection of your damaged roof and help you to make the right decision when it comes toguaranteeing that your household is safe. The final result may range from a full replacement to a few repairs but, regardless, our team takes the strain off of your hands and allows you to relax. We are committed to providing you with the most professional services within Saint Paul. With a wide variety of roofing options available, you can take your pick and ensure the roof is perfect for your needs. Our vision is always true to our core values. These includeintegrity, excellent customer service, respect, and honesty. Your feedback is of great value to us, so our job will be to ensure that your needs are always fulfilled. We will not be happy unless you are happy. Our service will be to provide your household the comfort and safety it deserves. Whether it is a new roof installation you are looking for, a routine repair, storm damages, or even a full replacement, we have it all covered and we will provide you with a quality service at your doorstep. Discover here about Roofing Contractor Edina for Hire.